Purina, maker of Purina Cat Chow, is striving to get 100,000 cat owners to sign a pledge before May 2 promising to assess their cat's weight to determine if their cat is heavier than advised by vets. If 100,000 pledges are logged, Nestlé Purina will donate $50,000 to the Association for Pet Obesity Prevention. The pledge is available on the company's website: www.catchow.com/whyweight. Those who sign the pledge receive a free sample of Purina Cat Chow Healthy Weight, a low-calorie weight management cat food that debuted in 2012. 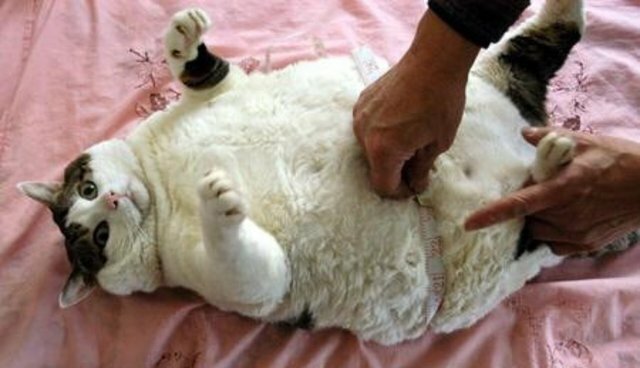 The Association for Pet Obesity estimates that up to 58 percent, or 50 million, American cats are overweight.